When the leaves start changing and there is a cool wind in the air, that is when I get very excited to go out and start taking photographs. Not too far away from me is Cannock Chase Forest a beautiful woodland based in Staffordshire. I first visited it two years ago when I just got my camera, and two years later I went back again with that same camera and same love of photography as I did when I first started. 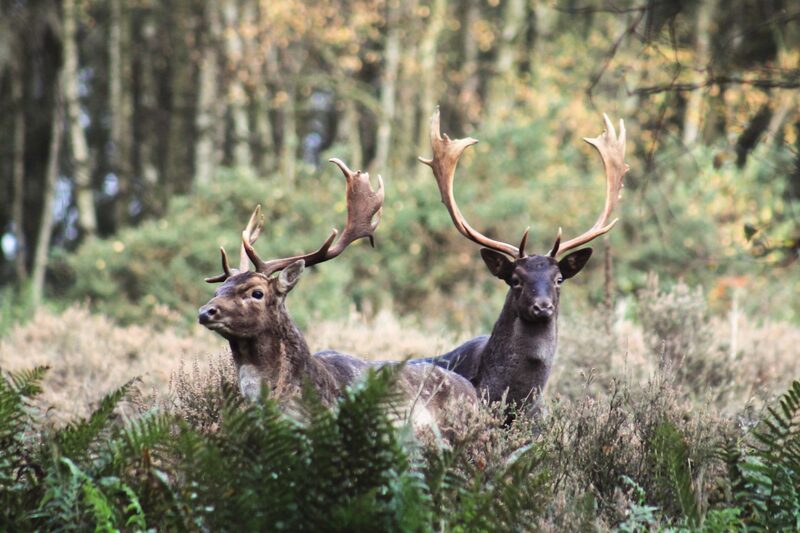 Cannock Chase is beautiful this time of year, in fact any place that is a National Park is so stunning. The rich colours of the leaves and colours of the heather make it so unique. 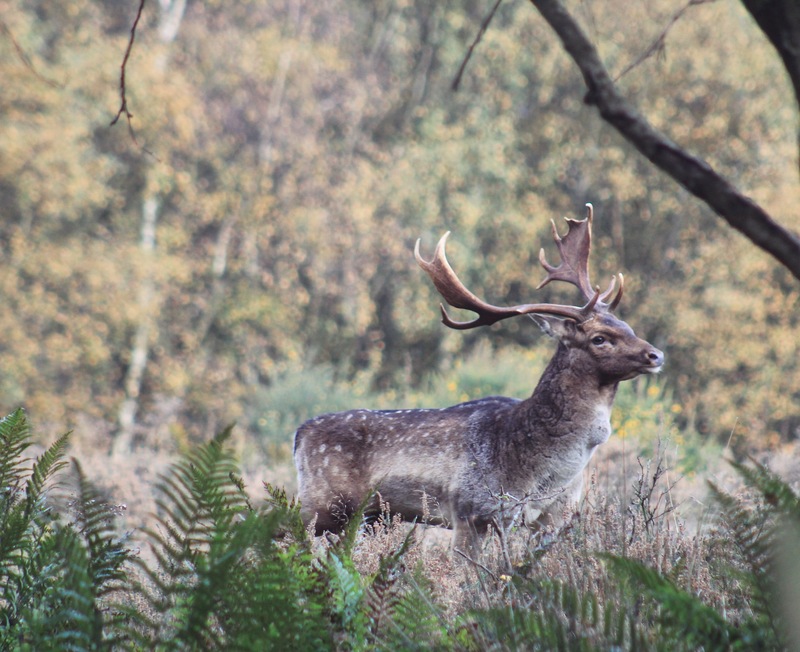 The photographs shown in this blog post was so special for me as I had never Stags rut before so it was great to capture the moment. Admittedly I was shaking loads with anxiousness and adrenaline as I was so close to where they were fighting. So a few photographs turned out blurry from me shaking and these were some of my favourites from the morning adventures. 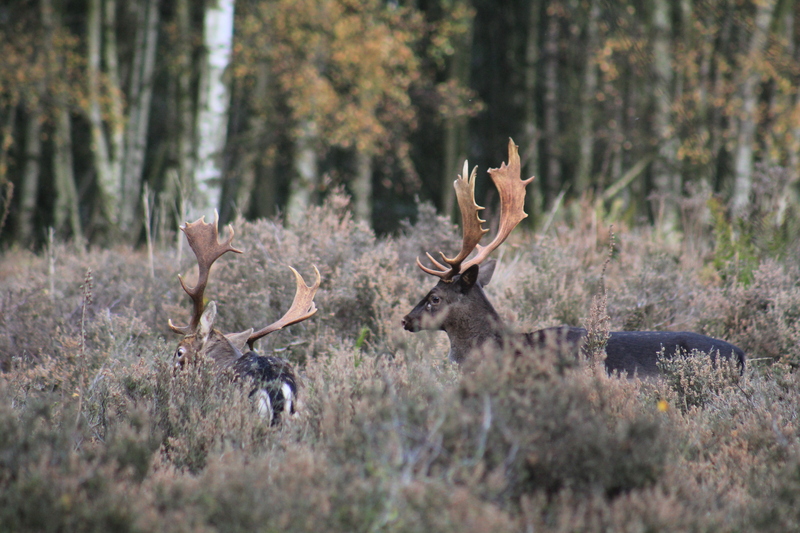 A few times the stags would stop fighting, stare at me and then start heading straight towards me. So of course I backed of quietly and quickly in the other direction because I did not want to be on the other side of those antlers. That would really hurt! One thing that was so surprising was how close these deers and stags were to the main road, yet nobody passing in the cars seemed to notice. They were only a few meters away walking around, grunting, fighting but the Stags seemed totally in their element, completely relaxed and they were not phased by the passing cars or people. The heather was quite high where the stags were fighting so a lot of the action was missed. 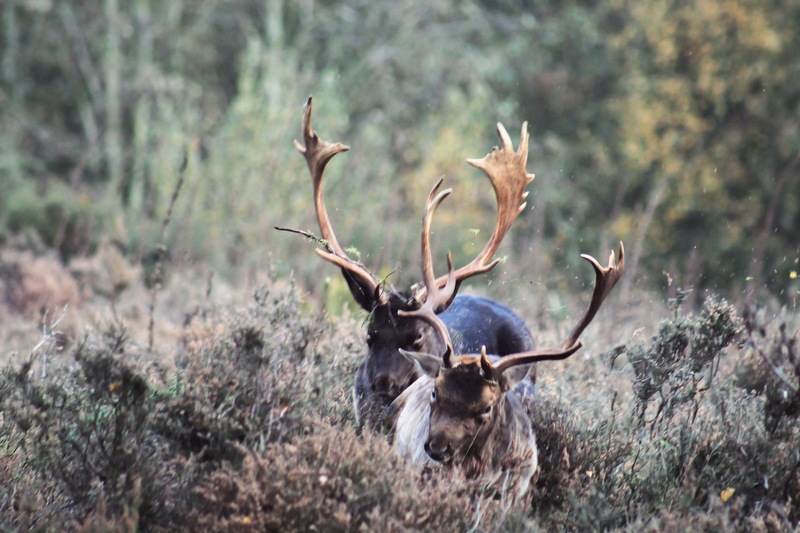 The photo below shows the movement and fierceness that these stags have this time of year and how strong they are, when they are fighting one another. 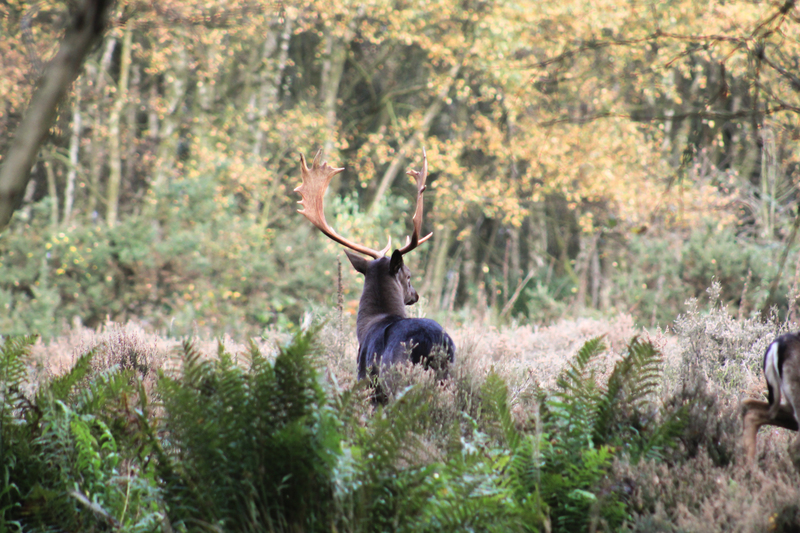 One thing that is such an iconic sound is the clatter and noise the antlers make when they collide against each other. I think it is great I was able to go back to the same spot that I did two years ago and see how much my photography has improved and how much I have learnt along the way. Cannock Chase is a place where my journey began and I have progressed so far since then but the subject matter has stayed mostly the same. Landscapes and nature will always inspire me and is amongst my favourite things to shoot. 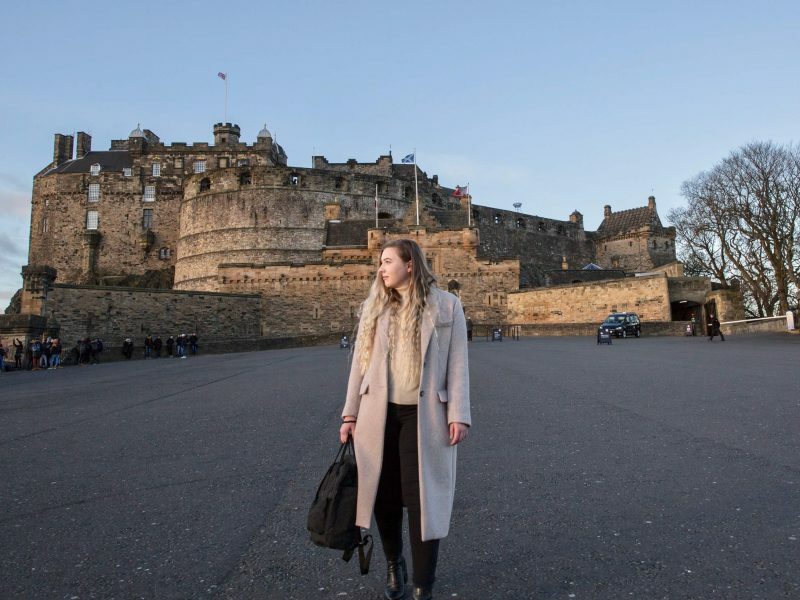 If you are interested in seeing my very first photographs then you can read my blog post here > Camera Equipment < it mentions the camera equipment I use for any of you who are curious and if you would like to learn more about it. When did you first pick up a camera, have you noticed if your photographs have improved since then? If so what is the biggest change you have seen. Let me know in the comments I would love to read them. Beauitful animal portrays!! 😀 Congrats on these improvements! It must be really exciting seeing those beautiful creatures running wildly around you! Amazing shots! Wow!! You’re photography skills are impressive! That is crazy cool that you got to see those bucks fighting. I really want to go to a national park soon. I have noticed a huge improvement in my photos since I first started. 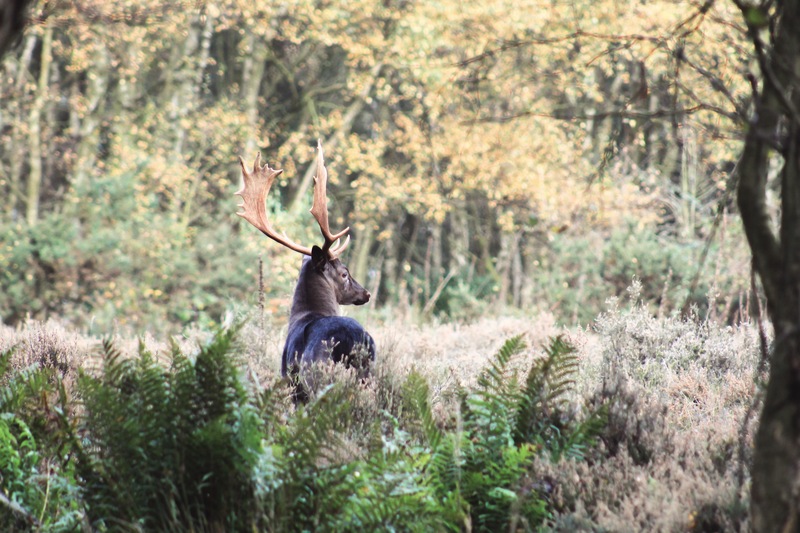 And wow- the shots of these deer are fantastic! So much skill. I started using VSCO app and it makes my pictures prettier!